Winner of the Dreampipe II Phase 2 Challenge for work performed with the City of Tshwane. IMESA/CESA Biennial Project Excellence Award 2016, 3rd place, Environmental Category (Somarela Thothi water-loss reduction partnership). Sasol received a distinction for the Corporate Water Stewardship Award at the GWI Global Water Awards 2014 for Project Boloka Metsi. The project is being undertaken in joint partnership between Emfuleni Municipality, Sasol and GiZ. WRP acted as the management consultant on the project. 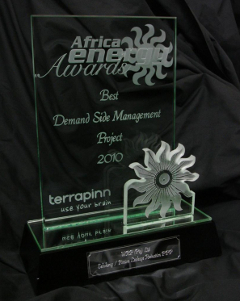 IMESA Biennial Project Excellence Award 2014, in collaboration with Consulting Engineers South Africa (CESA). 2nd place, Community Upliftment Category (Project Boloka Metsi). Emfuleni Local Municipality, Johannesburg Water, City of Tshwane and Drakenstein Municipality won the top 4 awards in the 2013 DWA WDM Sector Awards in the municipal category. Emfuleni, Tshwane and Johannesburg Water are being supported by WRP and Drakenstein by subsidiary company 4Water. Sasol won the Water Management Award in the 2013 Mail and Guardian Greening the Future Award for its Project Boloka Metsi. The project is being undertaken in joint partnership between Emfuleni Municipality, Sasol and GiZ. WRP acted as the management consultant on the project. WRP received the 2013 WRC Research Award for Information Policy and Decision Making Transformation for our report on the State of Non-revenue water. Ekurhuleni Metropolitan Municipality, City of Tshwane and Drakenstein Municipality won the top 3 awards in the 2012 DWA WDM Sector Awards in the municipal category. Ekurhuleni and Tshwane are being supported by WRP and Drakenstein by subsidiary company 4Water. 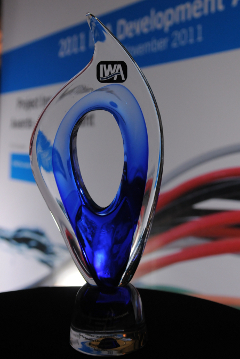 Global Water Intelligence Awards 2010. Water Efficiency Project of the Year - Commendation. (Sebokeng/Evaton Advanced Pressure Management Project). Winner Engineering Excellence Award Value less than R5 million (Sebokeng/Evaton Leakage Reduction Project). SAICE Award for most outstanding civil engineering achievement in Technical Excellence Projects. (Sebokeng/Evaton Leakage Reduction Project). Institution of Municipal Engineering of South Africa (IMESA) Award for the most outstanding Municipal Engineer Achievement in South Africa. (The Khayelitsha Pressure Management Project). National SAICE Award for the Most Outstanding Civil Engineering Achievement in South Africa (Khayelitsha Pressure Management Project). Saice Branch Award for Most Outstanding Engineering Achievement in Technical Excellence. (Greater Johannesburg Metropolitan Council: Prssure Management Project - NMLC and WMLC Areas).